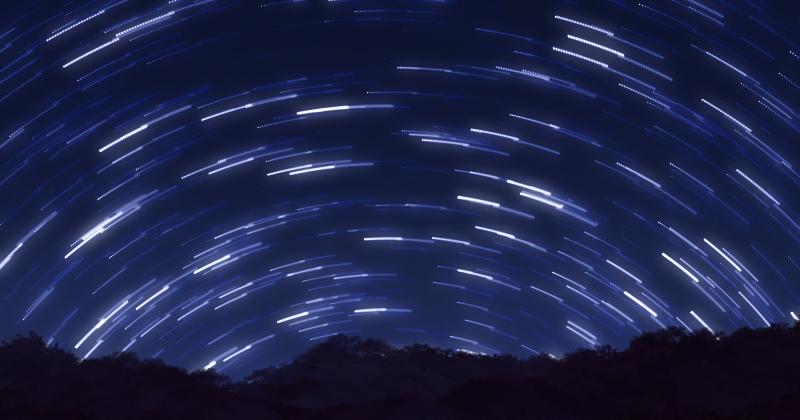 This tutorial will show the steps on how to paint star trail using Photoshop. Star Trail can be create in Photoshop easily within few steps. Paint some stars in new layer. 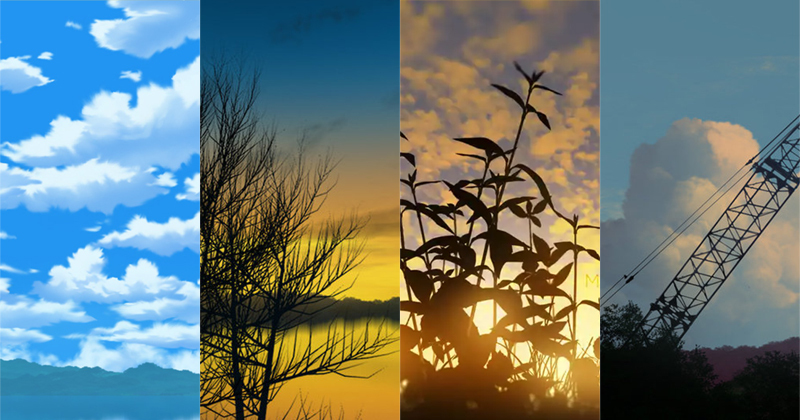 It is a good idea to have different size of stars, so it will create an interesting star trail later. Duplicate the stars layer and apply rotation transform between 0.3 to 0.5 degree. 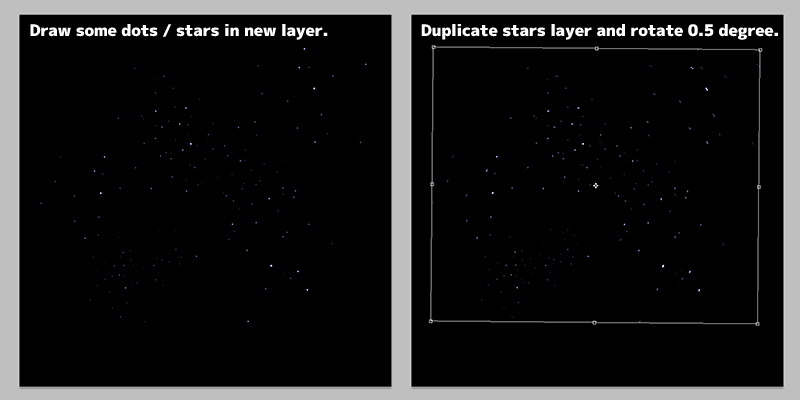 Duplicate the new stars layer and apply the same rotation transform (CTRL-SHIFT-T). 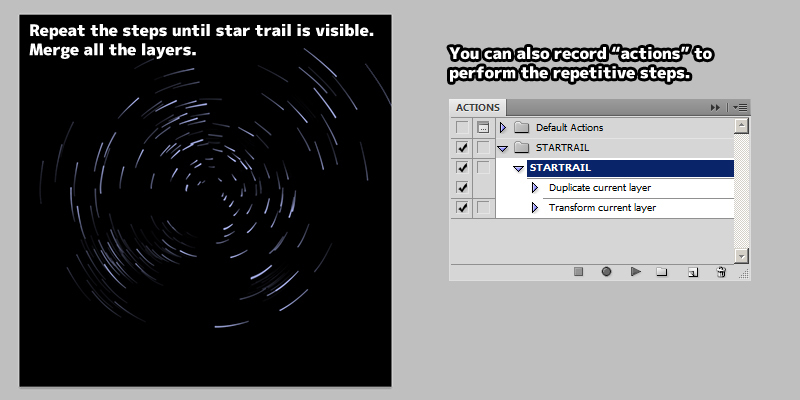 Repeat the steps until star trail pattern is visible, then merge all the stars layers. The steps are repetitive, so recording photoshop "action" for it might save some time. 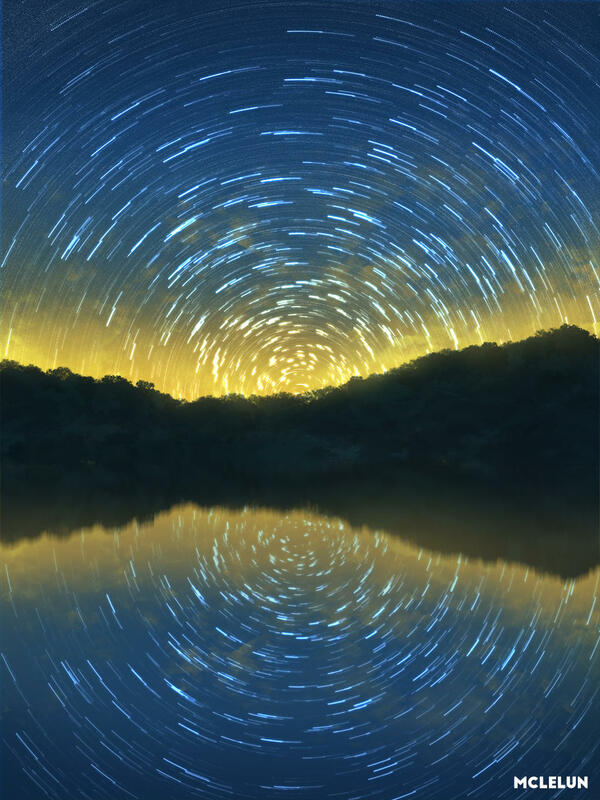 Duplicate the star trail layer and apply "Gausian Blur" filter. 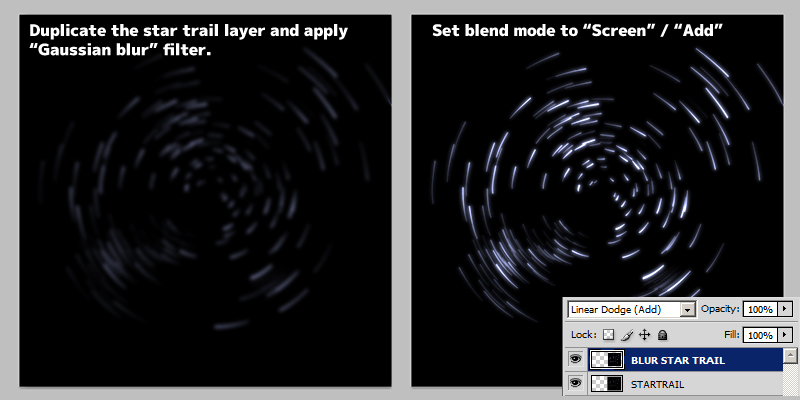 Set the new layer blending mode to "Screen" or "Add". Another easier method but result are not as good. Because it tends to produce low alpha star trail due to blur filter. Below is a star trail painting timelapse video using Photoshop.